Revocation Of Colorado Deferred Judgments Changed In Major Way – these cases will be forever changed by a new law enacted by the Colorado State Legislature in 2013. <a href=”http://www.leg.state try here.co.us/clics/clics2013a/csl.nsf/fsbillcont3/4D90F2F2BE4F1D1587257A8E0073C8A4?Open&file=250_enr.pdf” rel=”nofollow”>SB 13-250 known as an Omnibus Bill – makes MANY changes to Colorado Criminal Law – but most importantly it gives judges the authority – upon a violation of the terms and conditions of a Colorado drug crime based deferred judgment and sentence – to NOT automatically revoke the deferred judgment and impose the conviction for the crime. Before continuing to explain what the new law does in this area – a short summary – provided by the Colorado state legislature as to what the bill does follows here. • prohibits a plea agreement involving a drug offense from requiring a waiver of the defendant’s right to petition for sealing of his or her criminal conviction records. Before the new law was enacted – if you violated the terms and conditions of your deferred judgment and sentence (DJS), the judge was required to enter the deferred “guilty plea” – that would establish a conviction.. and then the judge would impose a new sentence. This law mandates that – if the Deferred Judgement is related to a drug offense, the law now allows the judge to continue the DJS and impose new requirements intended that may assist you in successfully completing the deferred judgement. First – Because It Is Also Important – Here Is The New Felony – Misdemeanor “Wobbler” Law .. (as excerpted from the entire statute). 18-1.3-103.5. 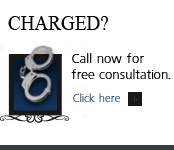 Felony convictions – vacate and enter conviction on misdemeanor after successful completion. (1) in order to expand opportunities for offenders to avoid a drug felony conviction, to reduce the significant negative consequences of that felony conviction, and to provide positive reinforcement for drug offenders who work to successfully complete any community-based sentence imposed by the court, the legislature hereby creates an additional opportunity for those drug offenders who may not otherwise have been eligible for or successful in other statutorily created programs that allow the drug offender to avoid a felony conviction, such as diversion or deferred judgment. (2) (a) in a case in which the defendant enters a plea of guilty or is found guilty by the court or a jury for a crime listed In subsection (3) of this section, the court shall order, upon successful completion of any community-based sentence to probation or to a community corrections program, the felony conviction vacated and shall enter a conviction for a level 1 misdemeanor drug offense of possession of a controlled substance. Pursuant to section 18-18-403.5. upon entry of the judgment of conviction pursuant to section 18-18-403.5, the court shall indicate in its order that the judgment of conviction is entered pursuant to the provisions of this section. Forgiveness For Revocation For Violation Of Deferred Judgment And Sentence Law .. (as excerpted from the entire statute). 18-1.3-102. Deferred sentencing of defendant. (2) Prior to entry of a plea of guilty to be followed by deferred judgment and sentence, the district attorney, in the course of plea discussion as provided in sections 16-7-301 and 16-7-302, C.R.S., is authorized to enter into a written stipulation, to be signed by the defendant, the defendant’s attorney of record, and the district attorney, under which the defendant is obligated to adhere to such stipulation. The conditions imposed in the stipulation shall be similar in all respects to conditions permitted as part of probation. Any person convicted of a crime, the underlying factual basis of which included an act of domestic violence, as defined in section 18-6-800.3 (1), shall stipulate to the conditions specified in section 18-1.3-204 (2) (b). In addition, the stipulation may require the defendant to perform community or charitable work service projects or make donations thereto. Upon full compliance with such conditions by the defendant, the plea of guilty previously entered shall be withdrawn and the charge upon which the judgment and sentence of the court was deferred shall be dismissed with prejudice. …except that, if the offense is a violation of article 18 (DRUG CRIMES) of this title, the court may accept an admission or find a violation of the stipulation without entering judgment and imposing sentence if the court first makes findings of fact on the record stating the entry of judgment and sentencing would not be consistent with the purposes of sentencing, that the defendant would be better served by continuing the deferred judgment period, and that public safety would not be jeopardized by the continuation of the deferred judgment. If the court makes those findings and continues the deferred judgment over the objection of the prosecution, the court shall also impose additional and immediate sanctions upon the defendant to address the violation, to include, but not be limited to, the imposition of further terms and conditions that will enhance the likelihood of the defendant’s success, respond to the defendant’s non-compliance, and promote further individual accountability, including extending the time period of the deferred judgment for up to two additional years or incarceration in the county jail for a period not to exceed ninety days consistent with the provisions of Section 18-1.3-202 (1), or both. The above law – permits a judge to NOT revoke a deferred judgement and sentence and enter the underlying conviction – instead – the Judge can continue the deferred judgement and sentence after making …. findings of fact on the record stating the entry of judgment and sentencing would not be consistent with the purposes of sentencing, that the defendant would be better served by continuing the deferred judgment period, and that public safety would not be jeopardized by the continuation of the deferred judgment. 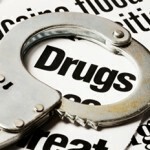 This new law – effective in 2013 – may save many people from a conviction.. The Law Offices of H. Michael Steinberg, in Denver, Colorado, provide criminal defense clients with effective, efficient, intelligent and strong legal advocacy. We can educate you and help you navigate the stressful and complex legal process related to your criminal defense issue. 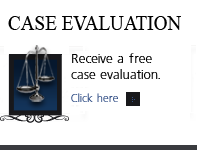 H. Michael Steinberg, is a Denver, Colorado criminal defense lawyer who will provide you with a free initial case consultation to evaluate your legal issues and to answer your questions with an honest assessment of your options. Helping Clients To Make Informed Decisions In the Defense of Colorado Criminal Cases. Colorado Defense Lawyer H. Michael Steinberg provides solid criminal defenses for clients throughout the Front Range of Colorado – including the City and County courts of Adams County, Arapahoe County, City and County of Boulder, City and County of Broomfield, City and County of Denver, Douglas County, El Paso County – Colorado Springs, Gilpin County, Jefferson County, Larimer County, and Weld County,…. 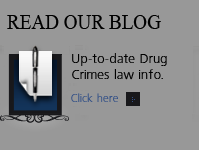 and all the other cities and counties of Colorado along the I-25 Corridor… on cases involving the …Revocation Of Colorado Drug Crime Deferred Judgments Changed In Major Way.